I guess I’ll have to pull this one off the shelf again — and read it yet another time — and always with awe. What a voice. 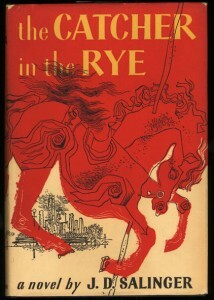 Rest in peace, Mr. Salinger. And thank you. Some more quotes from the book. And here’s an obituary worth reading. I’m sure there are many more to come. UPDATE: Wow, consider this question: What’s In Salinger’s Safe? Has he been writing all along?